After 20 years of living in dire situation of abject poverty with no lights and proper sanitation, the Thaba Phatswa community sighed in relief when a Good Samaritan in the name of Thabo Mofutsanyana came to their rescue. 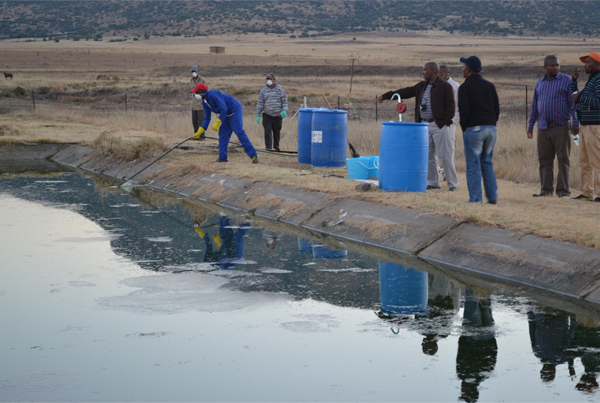 The district municipality has injected R1.9-million toa disluging oxidation programme thatis aimed at cleaning sewage in the area. The municipality’s communication manager, Matefu Mokoena, said the unattended sewerage spillagesthat had plagued the area for the past 20 years wereposing ahealth threat to local residents. Some of the sewerage spillage were overflowing intothe neighbouring Lesotho and had led to several civil lawsuits against the government. Prior to the implementation of the project, Thaba Phatswa residents had to face the stench from the sewerage spillage everyday. Finally the community of have more reasons to smile because not only has the project saved their health it has also created a lot of jobs for the unemployed local people. Mokoena said the project has employed 71 members of the community who have been working in shifts. The district municipality has erected 50 solar lights in Thaba Phatswa.CouncillorJane Jacobs thanked the Thabo Mofutsanyana District Municipality for bringing services to the people of Thaba Phatswa. “After waiting for 20 years we were nearly giving up hope that we would never get any services in this area. The smell from the sewage was killing us, we are lucky that there are no reported health related deaths from the situation,” said Jacobs. 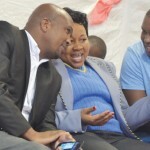 Jacobs has called on the government to attend to the dilapidated roads in the area.